Where is the defibrillator ? 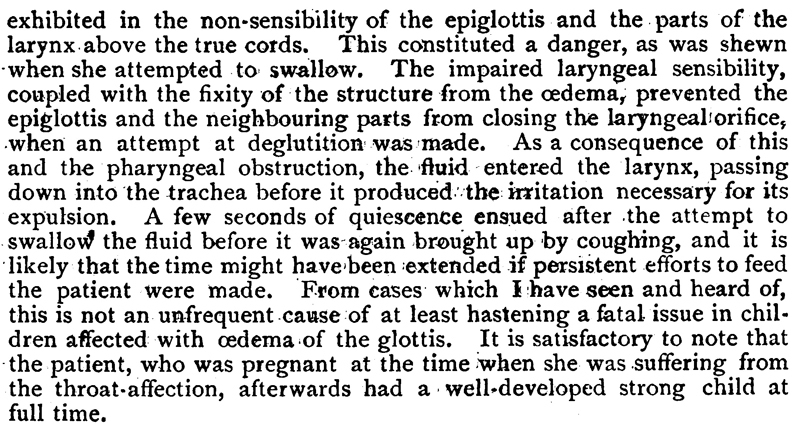 How tracheal intubation was done over 130 years ago ! Home/How tracheal intubation was done over 130 years ago ! 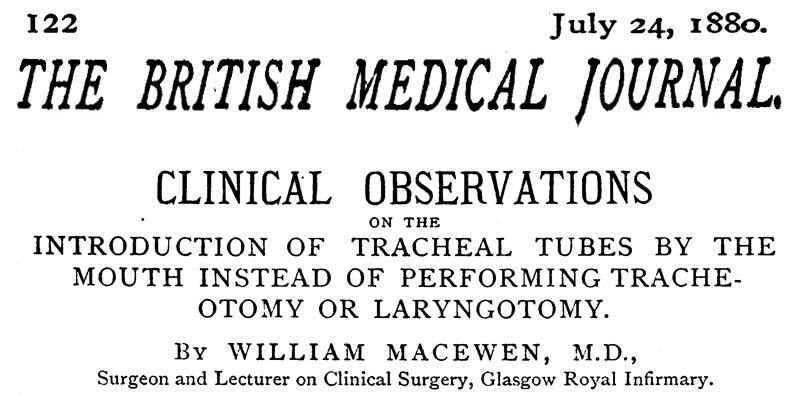 I discovered this fascinating article from the year 1880 describing case reports of tracheal intubation. The practitioners used their fingers (laryngoscopes were not available) to guide the tubes and there was hardly any sedation ! The article describes three very interesting case reports (my favorite one involves the man and the hot potato). There was an introduction section in the article that I have removed so that you can straight away read the cases. As you read these cases, imagine that you are on duty in a hospital over 130 years ago. We begin with the first case. If you want to avoid reading the description of the tumor, scroll down till you see a “red dot”. That is where the airway management begins. I hope you enjoyed going back in time. I certainly liked the happy ending !